Custom Banners, Flags and Tents for Your Next Event! When local businesses are preparing for events, they like to come to us for a variety of different signs and graphics. However, flags, tents, and banners tend to be the most popular because they are affordable and do an effective job of getting your name and branding in front of attendees. As you get ready for your fall and winter shindigs, consider contacting The Sign Studio for these custom banners, flags, and tents for events in Los Angeles. 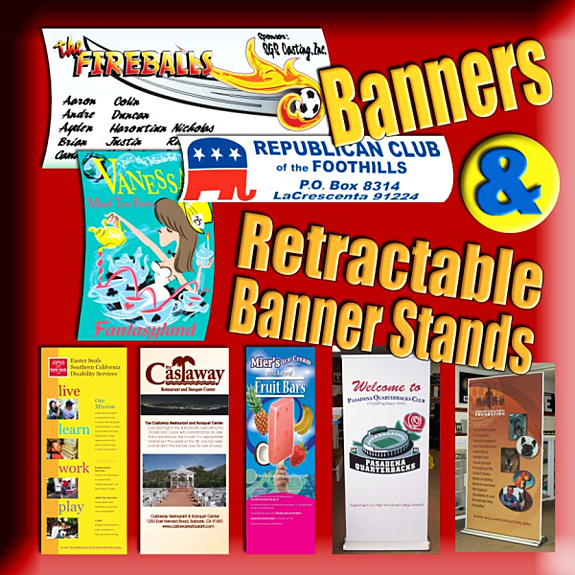 Banners are heavy duty, portable, and inexpensive. They are essentially smaller billboards that you can take with you wherever you go. There are essentially two main types of banners: hanging banners and banners in stands. Hanging banners can have a gloss finish or matte finish. We recommend matte banners if you are exhibiting at an indoor event since it will cut down on the glare produced by the lights. Mesh banners are a smart idea at outdoor events since they allow the wind to just blow through without damaging your graphics. Retractable banner stands are useful both indoors and out. Plus, they are easy to setup and transport. The main type of flag we produce for annual events is feather flags. These signs consist of a stand with the graphics of your choice attached. They are quite similar to banner stands. 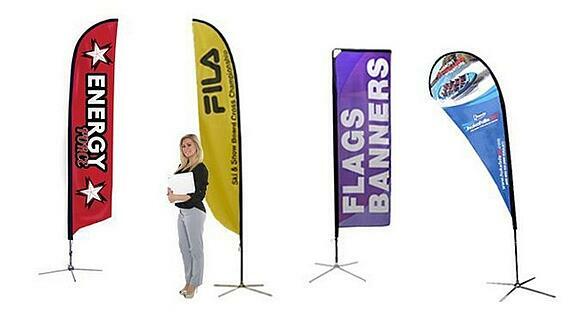 Feather flags are popular for outdoor events because they catch attendees’ eyes as they wave in the wind. The wide base ensure that your flag does not fall over. Many of our clients just store their flags between events. However, if your shop is located in an area that gets a lot of foot traffic, we recommend putting it out front during business hours. Thanks to the durable materials we use to make these markers, they will promote your message for many years to come. For the most part, we love the climate in Southern California. Yet, it can be hard to predict what kind of weather you are going to get at an outdoor event. This is especially true during the winter months. For this reason, it is helpful to have a custom canopy tent at your disposal. 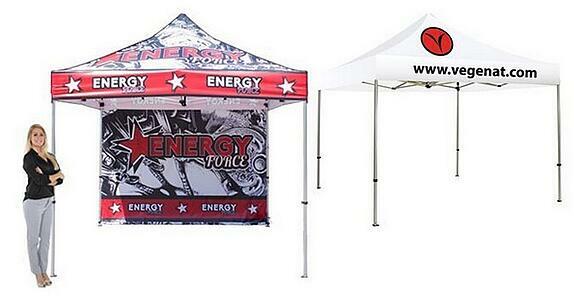 We can print whatever graphics you want directly onto the tent’s fabric. We get a lot of requests for these from football tailgaters who want to show off their school spirit outside of the stadium. At The Sign Studio, we do not see much point in having graphics if they are not attention grabbing. You want your marketing materials to feature vibrant, full-color images. So, we use eco-friendly inks that are fade resistant and bright. Thanks to our state of the art, wide format digital printer, we can render any photographs or images on your markers. We will even match your corporate logo precisely. If you are in need of custom banners, flags, and tents for events in Los Angeles, contact our friendly professionals today for a free consultation.